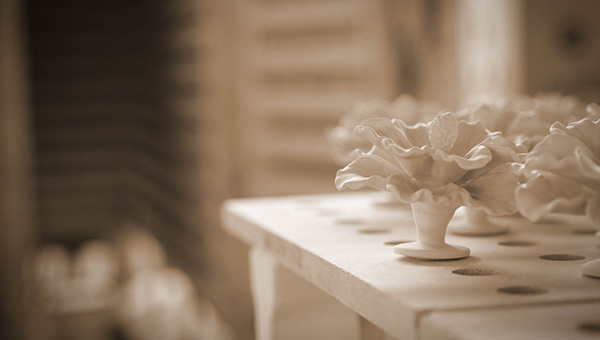 The birth of aroma porcelain allows fragrance and porcelain to combine perfectly. it is the result of sticking to our belief and acknowledging that voice in your heart when everyone disagrees. From the first to the last procedure, we choose not to compromise nor follow the crowd blindly. Step by step, the marriage between fragrance and beauty is finally fulfilled. 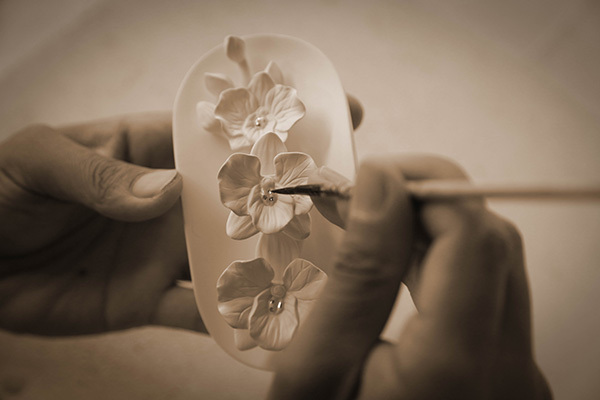 Transforming a sketch on paper to a lifelike porcelain prototype requires a serene heart. To ensure the mould bears a lustrous and detailed exterior, every mould has to go through a 12-steps procedure during casting. Every procedure during grouting requires years of experience from the master. Any more or any lesser will affect the exterior and effectiveness of the aroma porcelain. 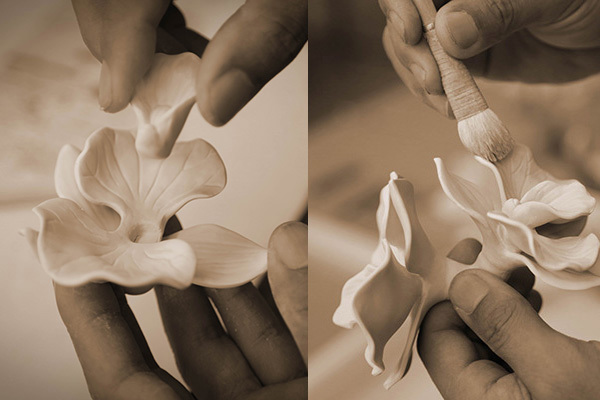 smoothening the texture and joining every single component of the aroma porcelain together. What you see is an intricate piece of aroma porcelain with joints that are barely visible. glowing with purity. The polished finishing bears a slight texture, conflicting yet beautiful at the same time. The last step is to add some gold or applique, breathing life into the aroma porcelain. The manufacturing process may have ended but the aroma porcelain still has to go through numerous steps of QC before they are packaged and sent to our customers. This is to ensure our aroma porcelain is presented at their best. 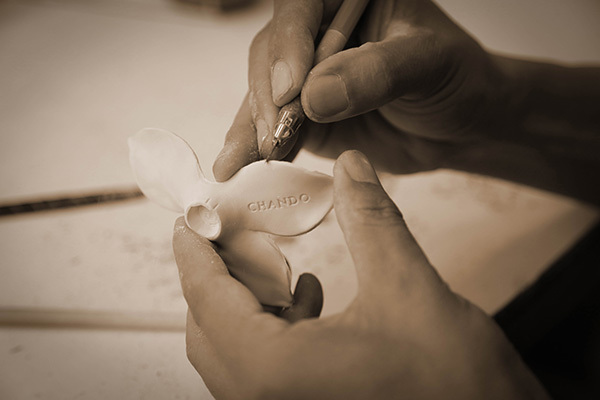 Bearing the heart of an artisan and seeking perfection is what CHANDO is best at. that brought CHANDO where we are today.